Bored with your apps, looking for something new? Check out these 20 iPhone and iPad apps that were just released. 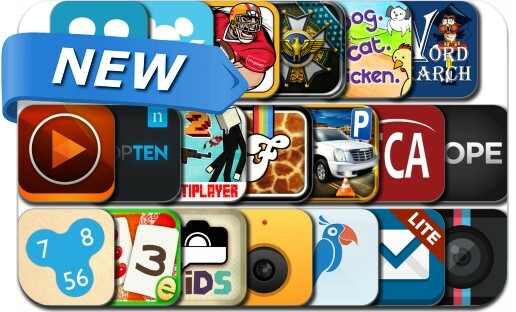 This new apps alert includes Endless Blitz, Luma, PicLab HD, Glory of Generals, FriendStrip Kids Pro, Meetville USA, Animal Fonts, Nielsen TopTen, Instant Webcam, Ace Slender-Man Block Multiplayer, 3D Limo Parking Simulator and many others. Luma delivers highly personalized movie and TV selections from all your favorite streaming sources in one intuitive grid. Start using Luma today and your TV watching experience will never be the same! As you rate, save, and interact with content, Luma learns your preferences and finds the best things for you to watch from the 1.5 million shows available….